22.11.2018 We are excited to be engaged to design a three townhouse project in Springvale. 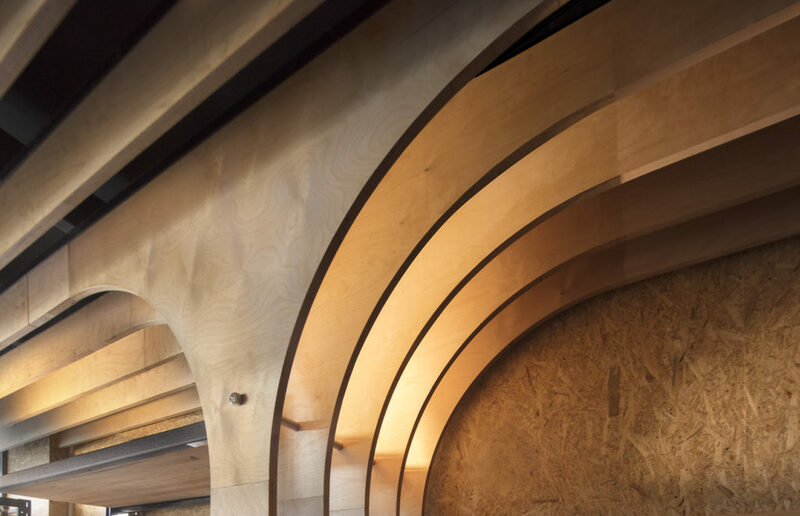 The project is an experimentation on contemporary living, densification and pushing the boundaries in responding to tight constraints in planning regulations. 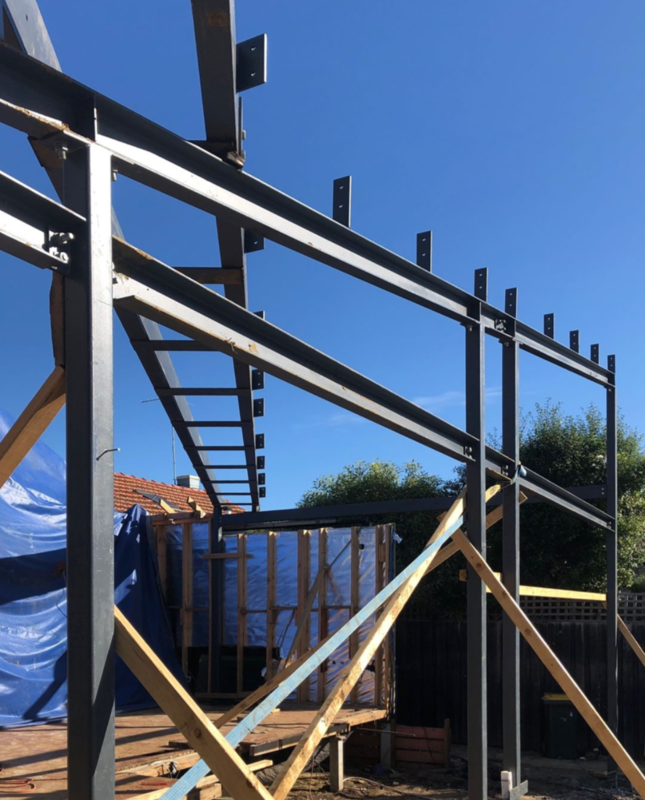 21.11.2018 Kew East House is under construction with steel frame erected last week. More update next week for sub-floor and timber framing. Stay tune! 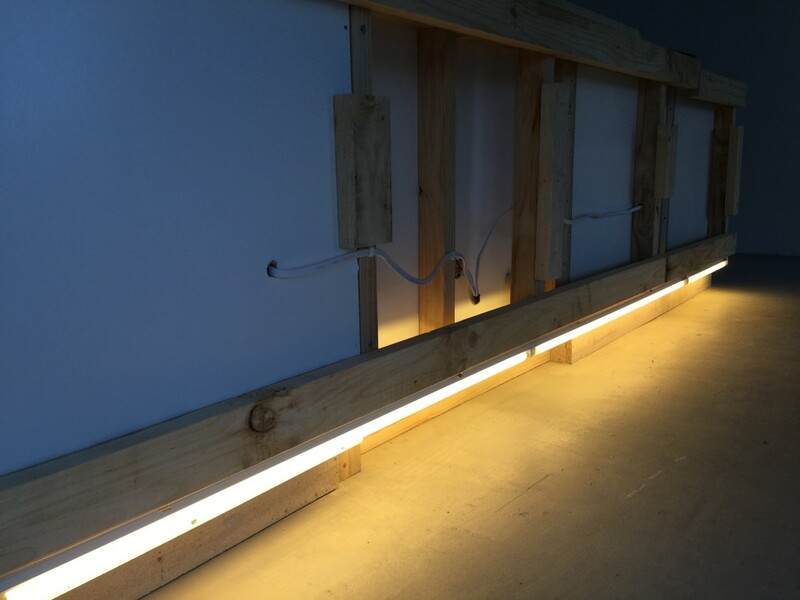 20.09.2018 Our recent mix used project in Footscray is at concept stage. 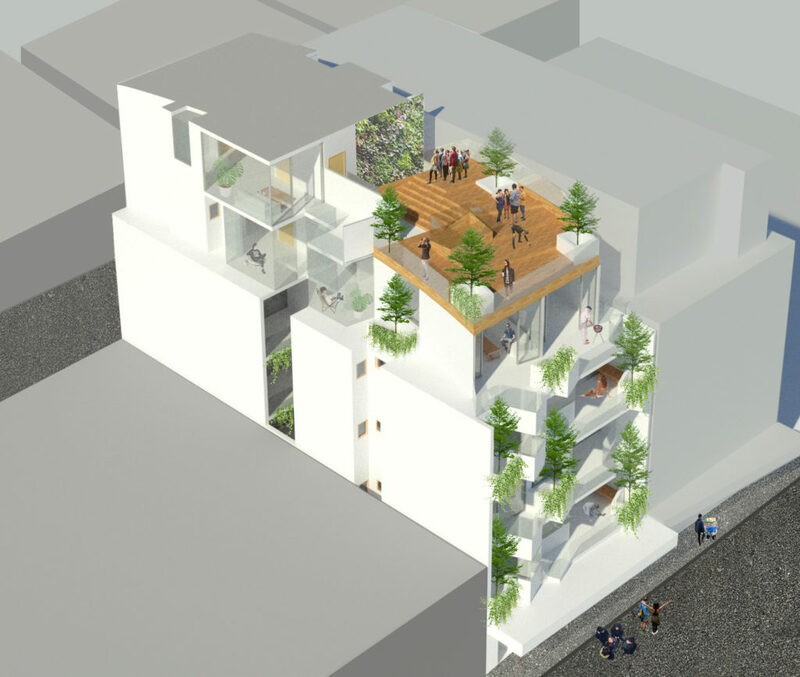 The brief requires 6 levels of cafe and medical centre at ground level and high-end apartments on upper levels. 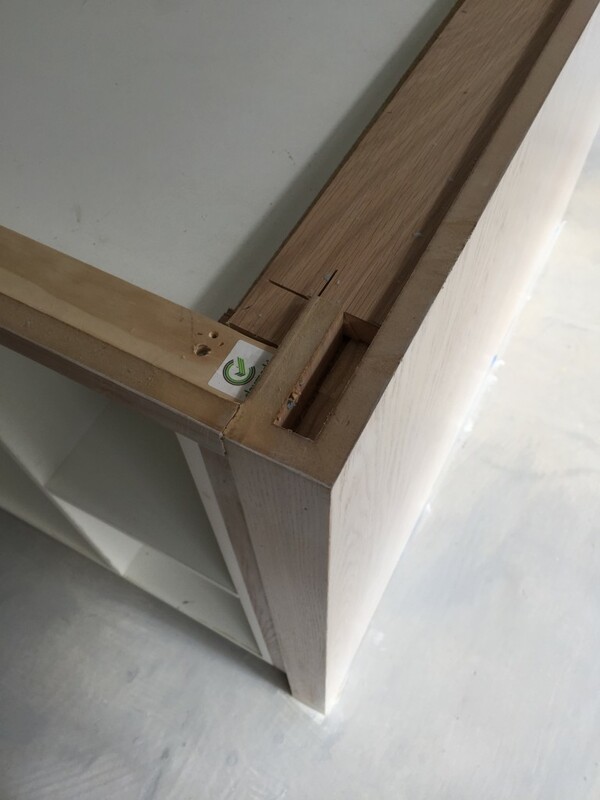 We aim at creating a community and vertical green living with spectacular views to city. 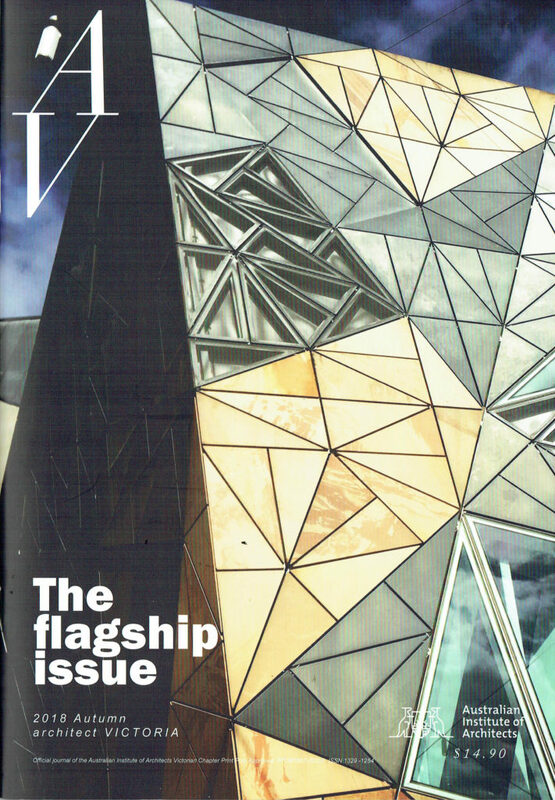 18.07.2018 Our recent restaurant project in Mount Waverley is featured on Architect Victoria – the official journal of the Australian Institute of Architects Victorian Chapter alongside with projects by large architectural practices including Woods Bagot and NH Architecture. 25.09.2017 Superstudio 2017 organised by SONA and Australian Institute of Architects was a three day idea competition for architectural students in Australia from 22-24 September. Viet joined the event as a Jury and Mentor for the competition in Victoria and it was great to see the enthusiasm and experimentations with ideas from all of the participants. 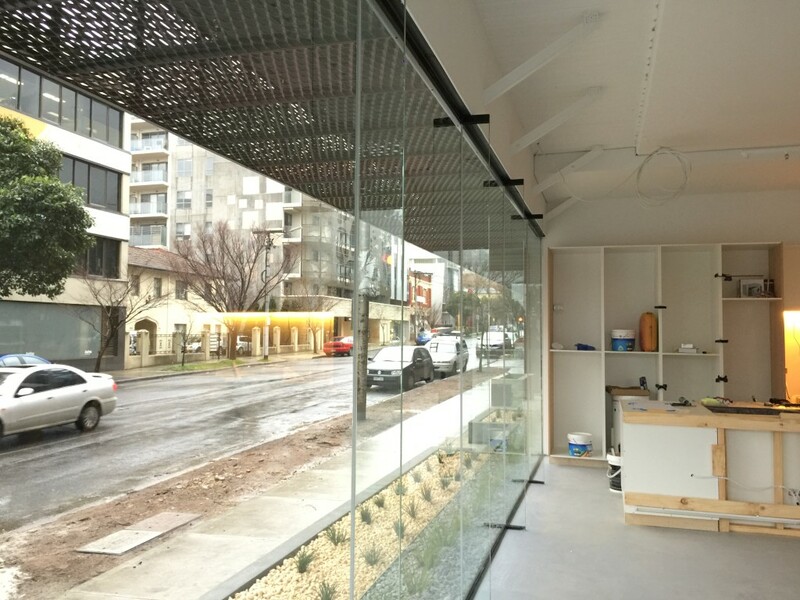 28.3.2017 Our Vietnamese Restaurant project in Mount Waverley has been completed. We had a great photo shoot session with the renowned photographer John Gollings last week. Please check the project section for more information!! 14.10.2016 Viet Pham – founding director of Pham Tuan Viet Architects has been shortlisted in the 2017 Dulux Study Tour for young architects who contribute to architectural practice, education, design excellence and community involvement. 03.07.2016 Our Mount Waverley Restaurant is under construction. More images will be published soon. 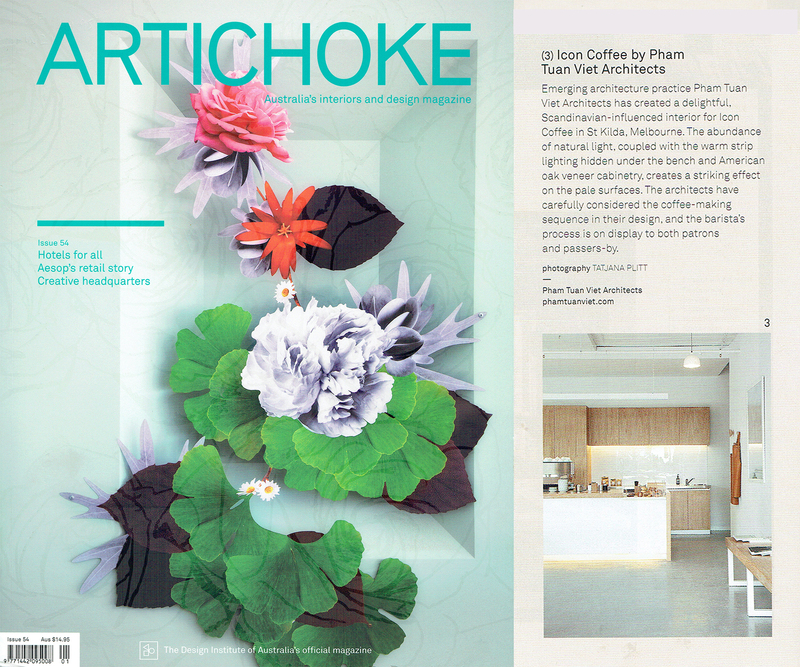 05.03.2016 Our recent project Icon Coffee is featured on the leading Australian interior and design magazine Artichoke – Issue 54. 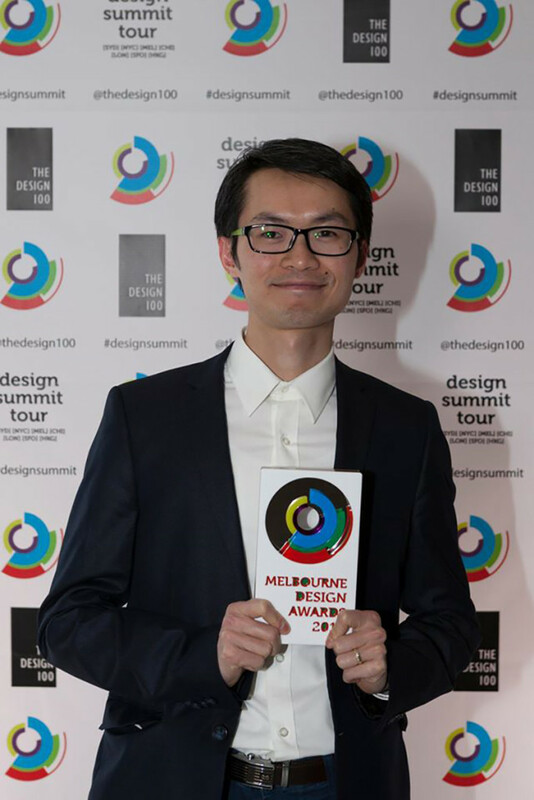 16.10.15 Pham Tuan Viet Architects won the Melbourne Design Awards 2015 at Design Hub, RMIT. 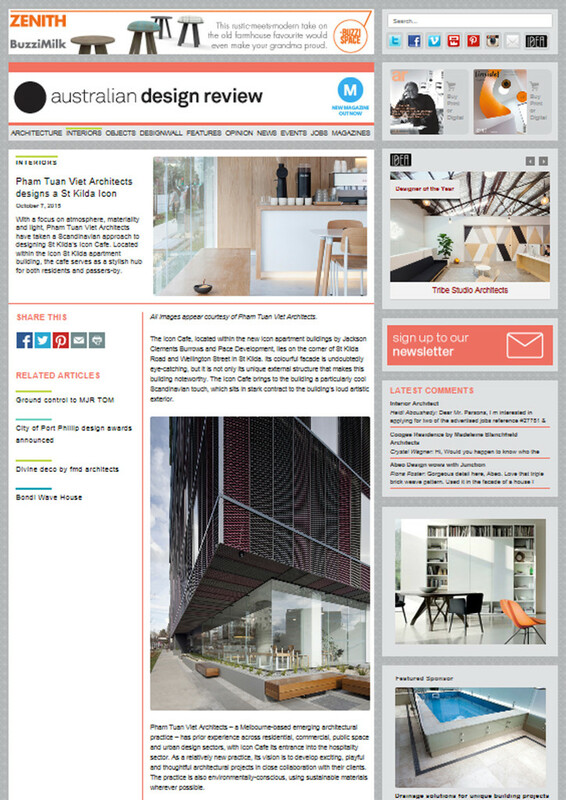 10.10.15 Our Icon Coffee project is featured on the popular architectural website : Architizer. 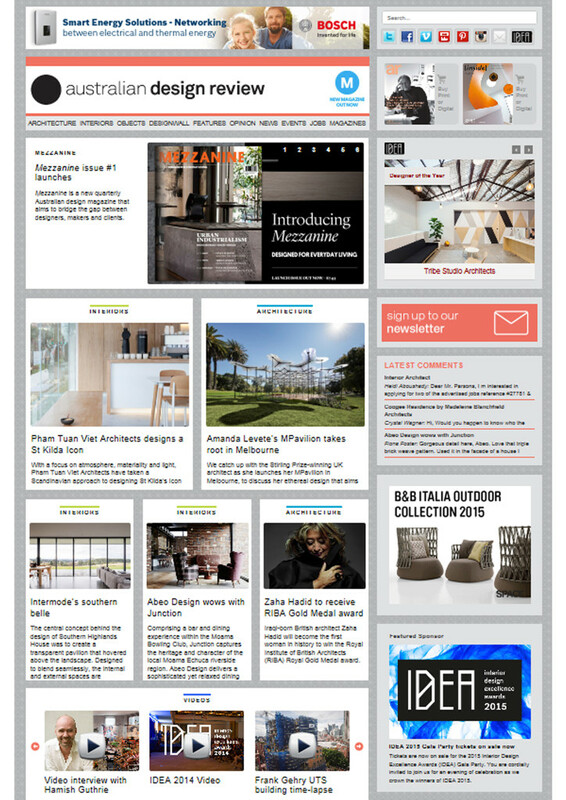 07.10.15 Pham Tuan Viet Architects is featured on Australian Design Review. 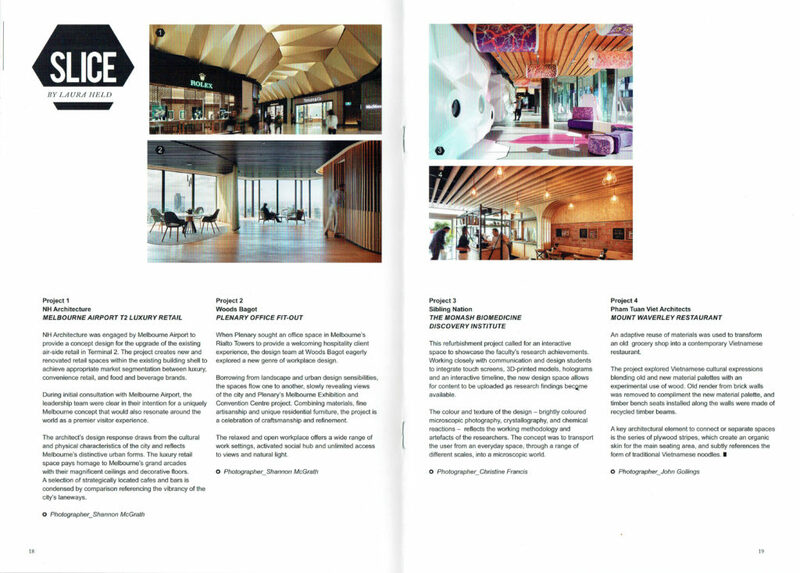 21.09.15 Finally our Icon Coffee Project is completed and it has been shortlisted in the Melbourne Design Awards 2015 – Interior Design – Hospitality. 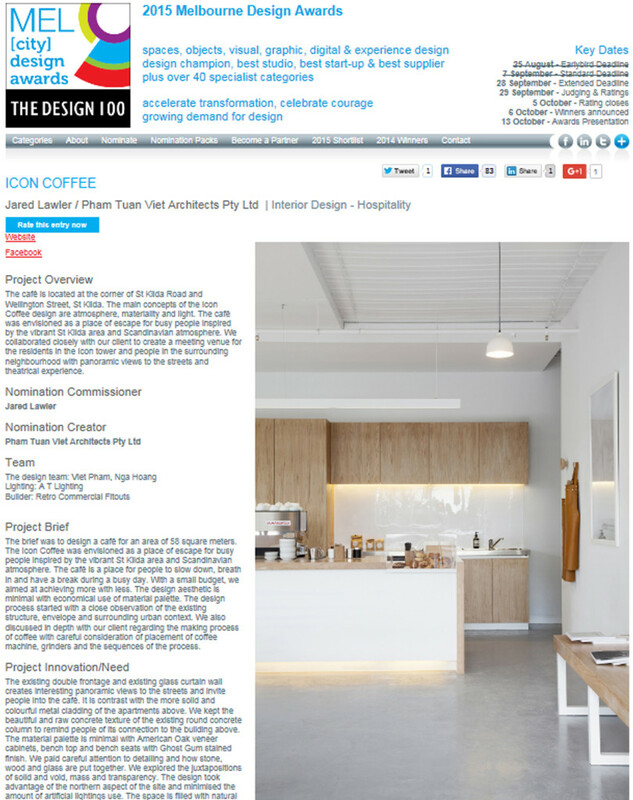 We would love your votes following this link: Icon Coffee – Melbourne Design Awards 2015. 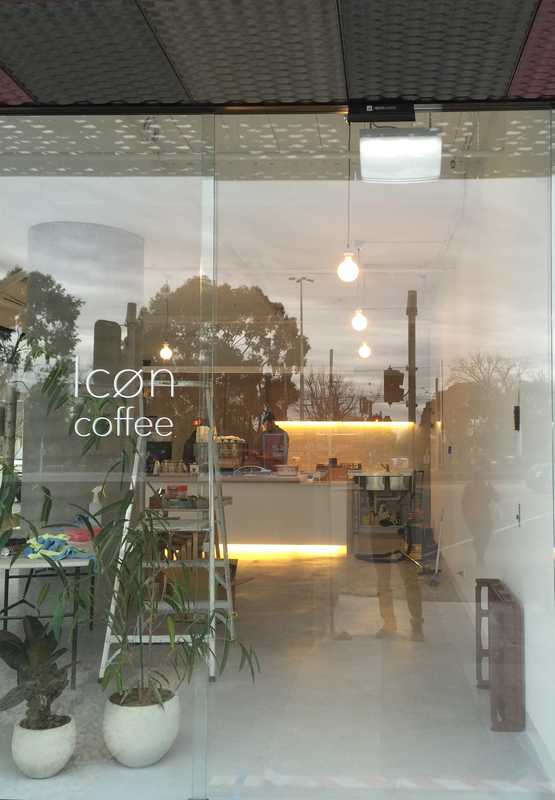 28.08.15 We are very excited that our Icon Coffee Project is under construction in St Kilda. More updates will be published soon. 21.05.15 We are delighted to announce the launching of our official website www.phamtuanviet.com. 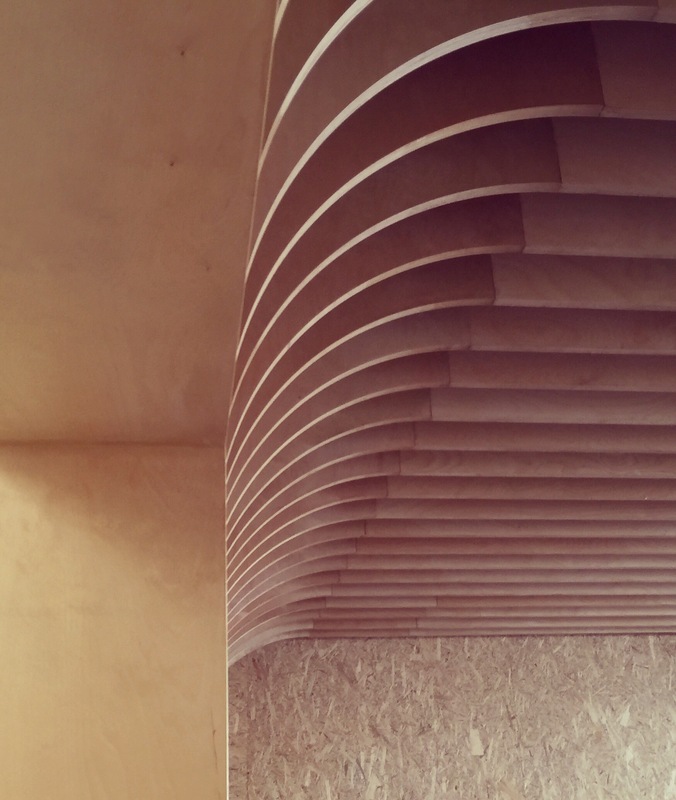 25.10.14 Our Richmond resident refurbishment project has been shortlisted for 2014 Melbourne Design Awards – Interior Design – Residential Category.